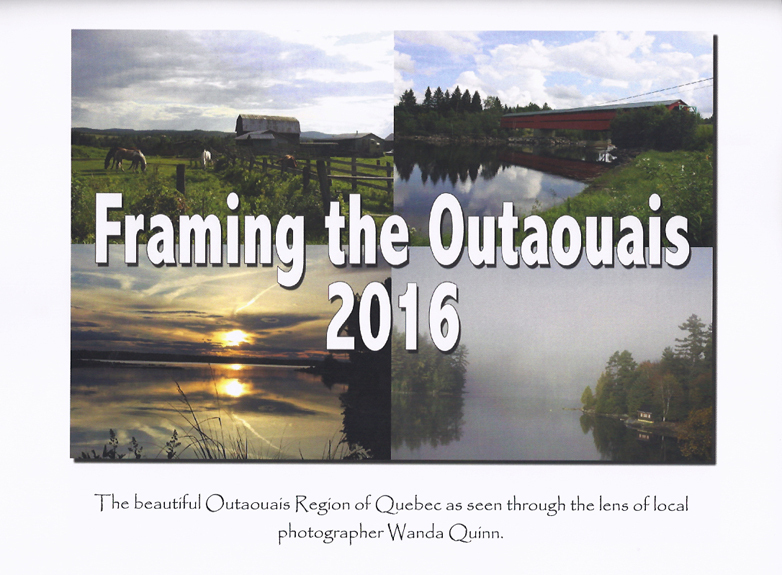 Introducing “Framing the Outaouais 2016” calendar featuring photographs of the beautiful Outaouais region of Quebec as seen through the lens of local nature photographer, Wanda Quinn. 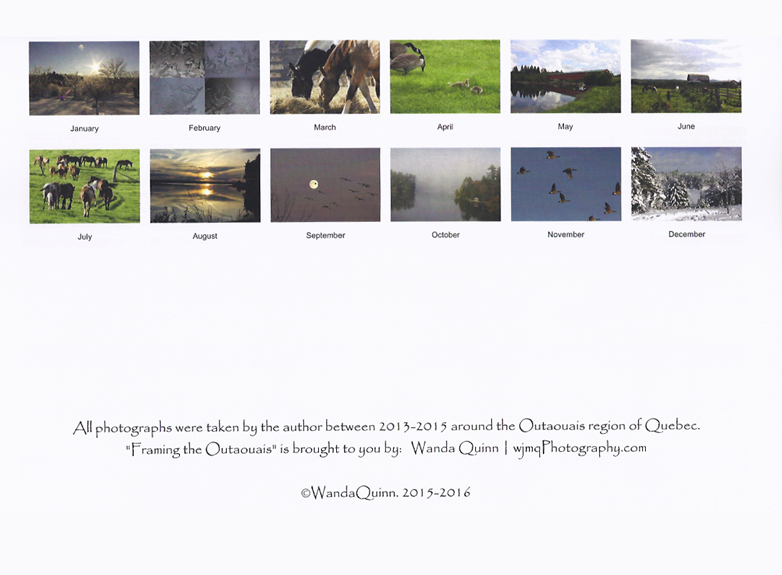 This beautiful 12-month calendar (January to December) is printed on 11×17, 32 lb matte paper; hangs as 11×17; has space to record special days and appointments and includes mini calendars for the next four years (2016-2019). All of this for the low price of $18.99. Contact Wanda to get your calendar or drop by the Renfrew Christmas in November sale this Saturday, Nov 7 to buy your copy!